If you have not tried the Brooklyn Blackout Cake you need to give this recipe a try. This cake is a rich dark chocolate cake that has a rich chocolate pudding between the layers and is frosted with a rich dark chocolate ganache. Everyone in our family loves this cake, it’s really delicious! I made this cake yesterday and it is almost all been eaten!! It’s been awhile since I last posted and I have missed blogging and posting with everyone! This homemade cake is easy to make in three easy steps. Step 1, make the pudding, then the cake and last the ganache. This recipe can found at Taste of Home website. Be sure to make the pudding 2-3 hours ahead of time so that it has had time to cook before assembling the cake. Making the cake does not require using a mixer, everything is mixed in a heavy pot on your stove. The ganache is simple too! Assembling the cake is easy too, then place your cake in the fridge to set. In about an hour you will be ready to eat! If you enjoy a rich chocolate cake, you should give this recipe a try! This time of year I love making and eating Strawberry Pies and tarts. Yesterday afternoon I made a pie and tarts. They have been in the fridge since yesterday but I could not wait any longer to have a taste!! I know it’s just before dinner but what the theck!! If you like Strawberry pie and tarts, you can get y recipes from my post last year, Best Ever Strawberry Pie recipe! This is a very easy recipe and it is delicious!!! I spent the last few days this week at Isle of Palm with my friends, together there were six of us. We had a big house with a pool that was one block off the beach. This house was huge and had 6 master suites. We all enjoy eating oysters, so we ate oysters each night at different restaurants, Pearlz, Boathouse, etc. The above picture is Capers Blade oysters, these are elongated and are delicious. I love all oysters but my favorite are Blue Tips, all with a little lemon, sauce and horseradish! Do you like oysters? What is your favorite? I made several cakes for our Easter dinner yesterday afternoon, the first one I made was the coconut cake! This is a four layer cake with an old fashion coconut icing. It is awesome 🙂 This recipe has been handed down thru our family for many, many years! If you like coconut cake, you would love this recipe. Coconut Cake recipe! The second cake was a chocolate cake covered in chocolate ganche! Delicious! Ok, here is the question, which cake would you choose? Or would you choose both? Check out my Instagram page to see more of my work, click the Instagram image! So tomorrow is Pi Day, the Greek letter “π” is the symbol used in mathematics to represent a constant — the ratio of the circumference of a circle to its diameter — which is approximately 3.14159. Do you remember learning about Pi in school? On Pi Day, many people celebrate by eating their favorite pie! If I had to pick a favorite pie, it would be the strawberry pie!! Then there is the pizza pie!! I love pizza and there is a new place in town that has an awesome Meatball Pizza Pie!!! Or maybe you like the traditional pizza!! There are so many pies, it would be hard to list all of them, many are sweet but there are others that are comfort food! 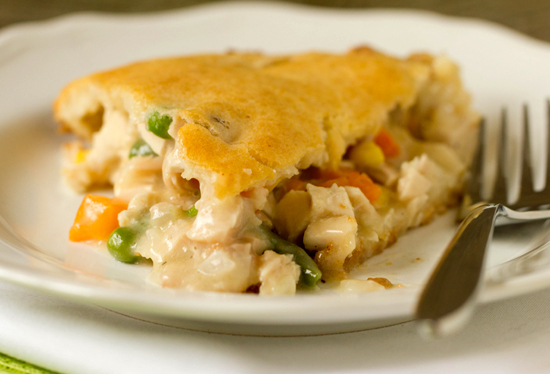 Like the chicken pot pie!! !…delicious on a day like today, all rainy and cool! So, what is your favorite pie! Is it sweet or savory? Comfort food? I hope everyone enjoys their weekend!!! Here is the link to my recipe! Blueberry Muffins They are delicious!!! The bigger the muffin the better, I love using the large size muffin pans. I buy frozen blueberries in bags, most all grocery stores have them. Adding frozen blueberries to the batter helps to reduce the blueberry juices from turning your batter blue. I love this picture of my work taken by Tricia Buice, check out her blog page, Saving Room for Dessert!